Our visit to the Grundfos sales office in Mumbai was very nice. Viniit Gupta and his employees truly showed us how hospitable the Indian people are. As a welcome, we all received flowers. Later we got Indian Chai and cookies. Furthermore, we received gift bags and they were so kind as to take us out for lunch. The office wasn’t big, because most of the work is done away from the office. They had just moved to new offices, so only posters of the six values of Grundfos, which are also known here in Denmark, were hung on the walls. However, in the future Viniit would like to have a big Dashboard covering one of the walls. It was clear that the history of Grundfos both in Denmark and in India is very important to the personnel at the sales office. As in Denmark, Grundfos is branded and known for quality. The personnel seemed very proud to be part of such a large company and emphasized that only 15% of the profit goes to “the Grundfos family” and 80% goes to the Grundfos foundation. Grundfos has several training programs in Denmark on Specialization of products, Innovation, and Leadership skills. 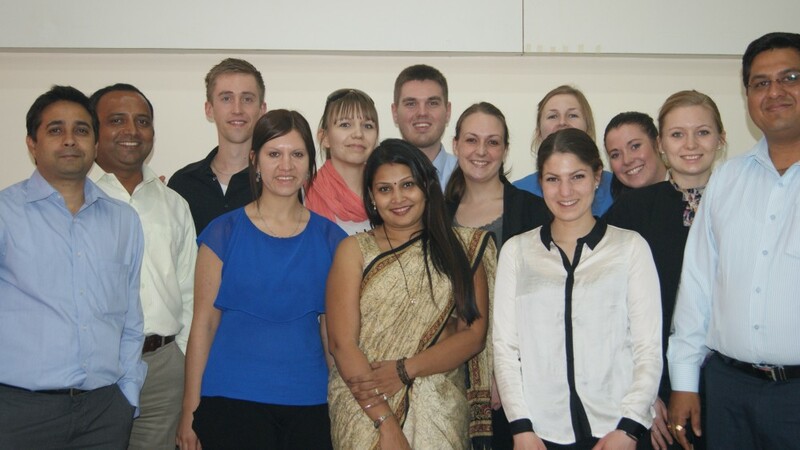 Viniit have been to Denmark several times both for the training programs and to show Indian customers. Among other things he has learned about several tools for tracking KPI’s. Because of one of the training programs, he implemented SAP about a year ago. The Indian customer’s requirements and expectations are quite high. Generally they want everything faster, why it’s also important to continuously improve the effectiveness of the products. In India, the brand Grundfos is known for international quality. With the many local distributors they can make the Indian customers trust them, which is very important to get the Indian people to buy anything.